Four Paws Five Directions veterinary Traditional Chinese Medicine handbook for pet owners and laypersons interested in helping animals heal naturally. 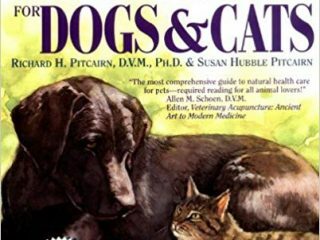 Natural pet health care and nutrition books by Richard H. Pitcairn, DVM are a must for anyone researching holistic medicine, homeopathy or all natural health for their dogs. Read and learn practical information about how artemisinin may help help improve your dog’s health when fighting cancer. Learn about homeopathic cures and remedies for your three legged dog or cat.